Fleecs Design: KC Planet Comic Con this Weekend! ECCC in 2 Weeks! My Little Pony Friends Forever #5! KC Planet Comic Con this Weekend! ECCC in 2 Weeks! My Little Pony Friends Forever #5! Kansas City Planet Comic Con! Super Excited to be back at one of my favorite shows. Super excited to catch up with all my midwest creator & comic fan peeps. Find me at AA-1718! If you're in the area, come on down to Bartle Hall and say hi! My Little Pony Friends Forever #5! My new MLP issue! Fluttershy/Zecora! Written by the great Thom Zahler! Pre-Order it! Fluttershy and Zecora take the spotlight in the new fan-favorite series! 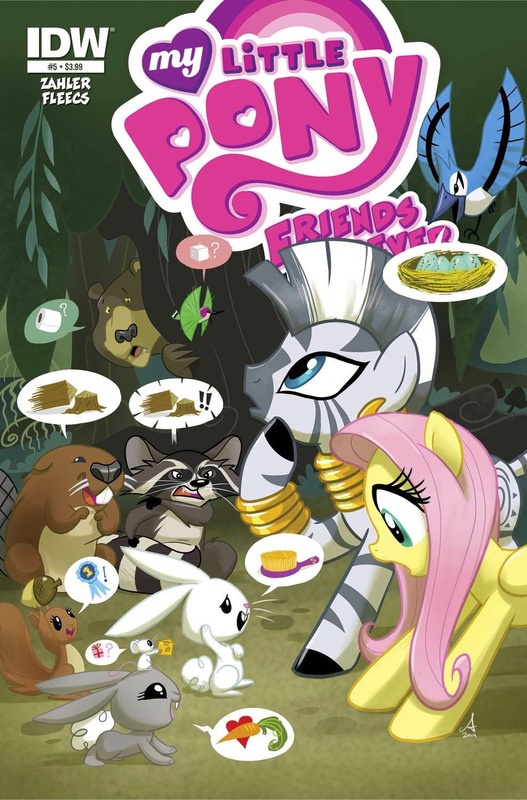 Fluttershy wakes up one day to find that all of her animal friends can talk to her! But what secret are they hiding? It will be up to everyone's favorite rhyming zebra to determine the nature of this strange occurrence! Emerald City Comic Con 2014!! My 2nd ECCC and I'm super jazzed to be back. You'll be able to find me in Artist ally right in there by all the other MLP artists at AA-10. Northwesterners! Come on out & say hi. Buy stuff. Ok that's it. 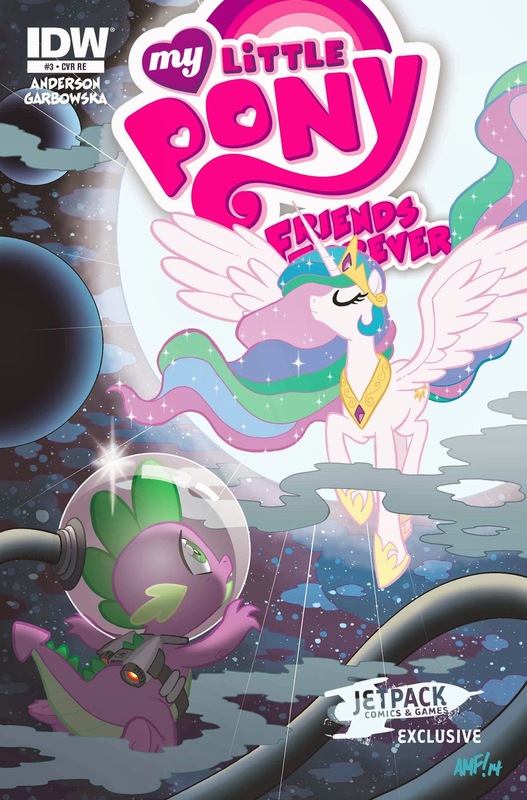 I'll leave you with my Jetpack comics variant for MLP Friends Forever #3. Out today. Super spacy.